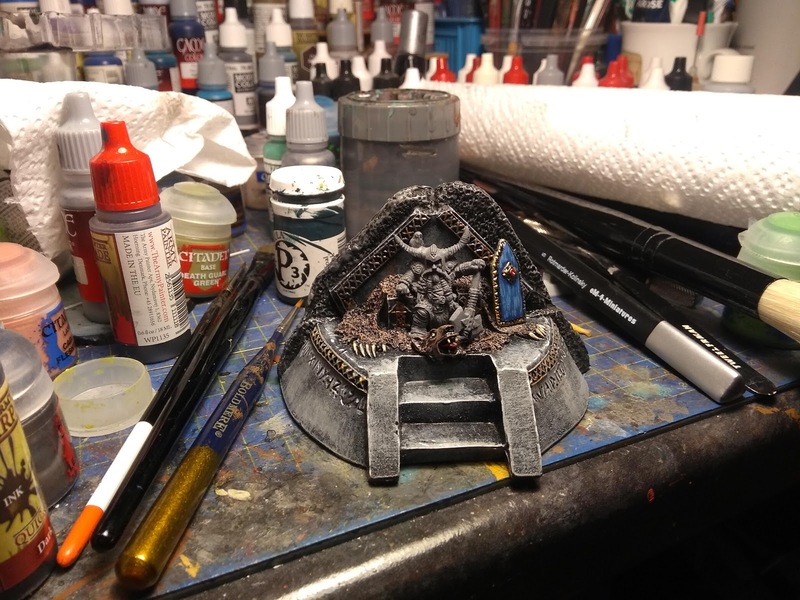 Another item from the Reaper Bones line (77570 Dwarf King on Throne) that I was tinkering with whilst waiting for other stuff to dry - almost done now, just the King himself to complete, then a splash of Dullcote. Blood Pact Pack Howitzers, finally done! Put them in the Iron Maiden!